Vintage car spring or Bronze Age gold torc? Ronnie Johnston found something with his metal detector in a bog in Corrard, County Fermanagh in December of 2009. He thought the twisted metal rope was a suspension spring for a vintage car. He took it home, rinsed it off, put it in a drawer and thought nothing more of it for the next two years. 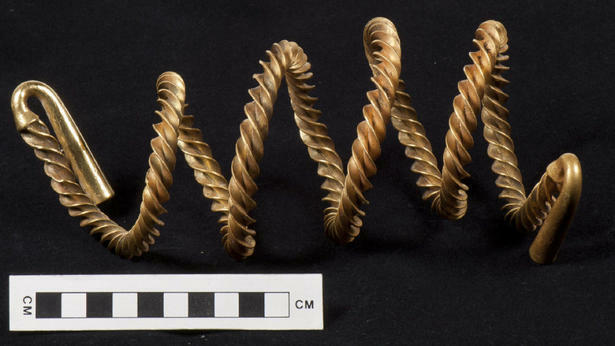 Then, in May of 2011, he saw a picture of a torc in a treasure hunting magazine and realized that his nifty spring might be something altogether more important. By Irish law, anyone who discovers something he has reasonable grounds to believe is treasure must report it to the coroner within two weeks. Obviously Mr. Johnston missed the boat a little on compliance with the Coroners Act of 1959, but as soon as he realized his car spring might be a gold torc, he called an expert from the Armagh County Museum to examine it. Dr. Greer Ramsey suggested it be reported to the authorities as a potential treasure find and so it was. On Friday, March 30th, the Coroner’s Court in Belfast held a treasure trove inquest. Experts testified that it is indeed an ancient torc made of 87% gold and 11% silver. The style, a four-flanged design that is twisted into a spiral, is characteristic of the Middle Bronze Age, probably the Penard Period of metalworking, ca. 1300-1150 B.C. To make this style torc, the smith took a cast bar of gold then cut four lengthwise wedges into the bar creating a cross-shaped cross-section. Once the flanges were carved, the torc was twisted by turning the ends of the bar. Then the smith forged trumpet terminals out of each end of the bar. It’s 37 inches long, so was probably worn around the waist rather than around the arm or neck as we tend to think of torcs. It was coiled before burial, perhaps to make it easier to bury in a smaller space, or perhaps to make it hard for someone else to uncoil it and wear it. The coroner declared the torc treasure, the first official treasure that has been found in Northern Ireland in the last three years. Next up comes the valuation. The torc will be sent to the Treasure Valuation Committee at the British Museum in London. Experts will assess a fair market price for the piece. Since Johnston owns the field where he found the torc, any museum that purchases the artifact will pay him the valuation price. The coroner, John Leckey, described the Corrard torc as an extremely beautiful object and stressed the importance of reporting such finds to the authorities. “I would regard it as an outcry if the object didn’t end up in Northern Ireland on display in a museum. This is part of the culture of Ireland,” he said. He added how Culture Minister Caral Ni Chuilin should be alerted to the immense significance of the find, describing it as “an important day for Northern Ireland”. A hoard of almost 300 silver Celtic coins has been unearthed in the village of Füllinsdorf, near Basel in northwest Switzerland. They were found by a private individual who was working as a scout for the canton archaeological department. He recovered a number of coins that were just barely buried in a few centimeters of soil, and then he alerted the official archaeologist. They found the 293 silver coins spread over an area of about 538 square feet, all of them just under the surface. It’s by far the largest number of Celtic coins ever found in Switzerland. 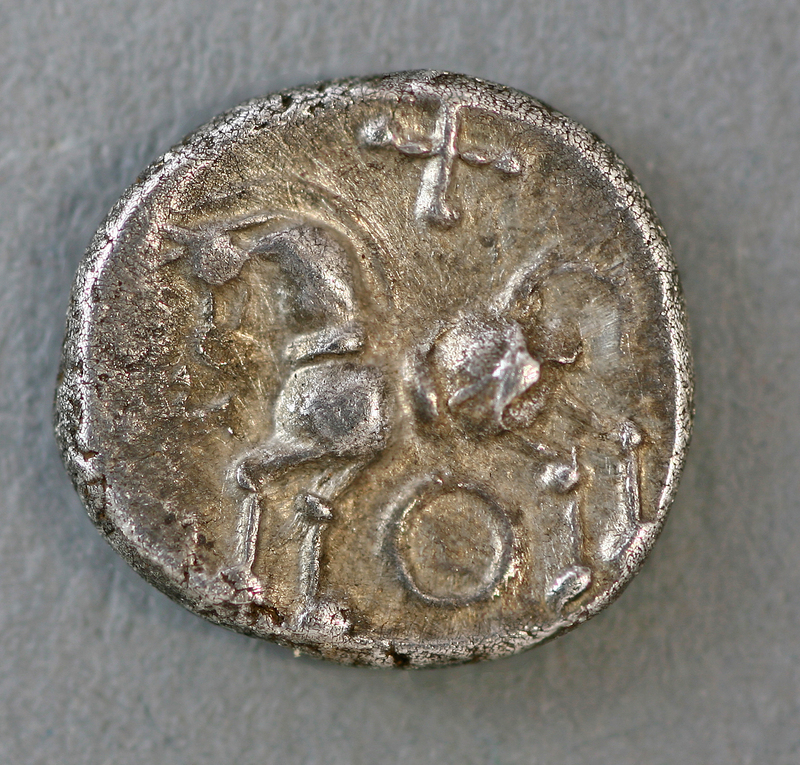 The coins are of a type known as a quinarius, a small silver piece worth half of a denarius. When Rome first issued the denomination in 211 B.C., it was called a quinarius because it was worth five asses (the equivalent of 5 pounds in brass coin). When they were reissued in 101 B.C., they were still worth half a denarius, but monetary reform made the denarius worth 16 asses so the quinarii were now worth eight. 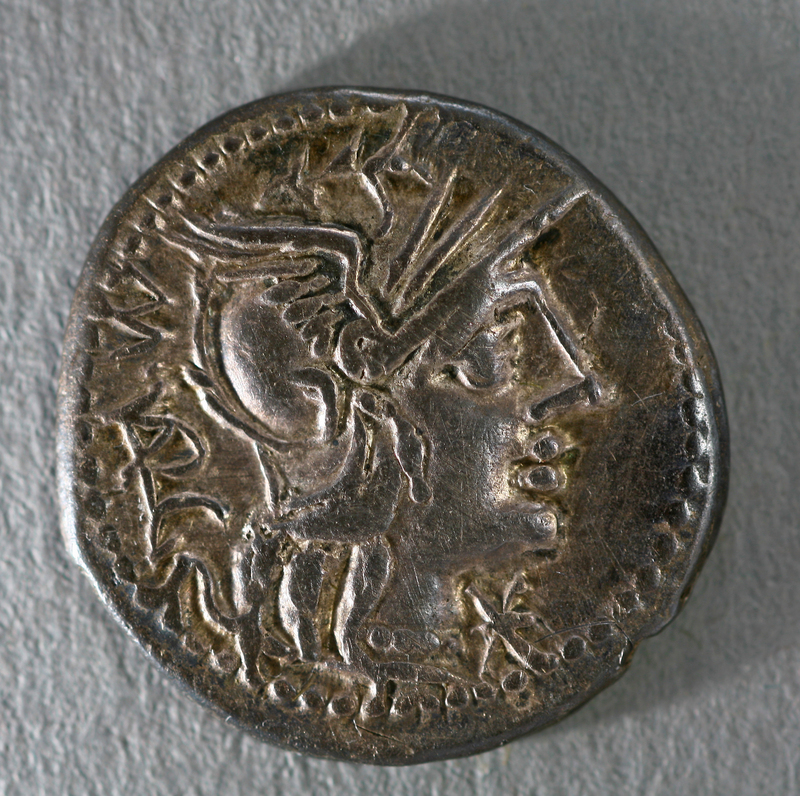 The Celts used Roman coinage as a model, but they modified the particulars. Their coins are smaller, just a centimeter in diameter and two grams in weight. 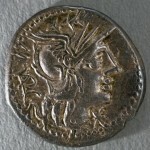 Roman quinarii had a helmeted figure of Pallas, later Victory, on the obverse, and the Dioscuri (divine twins Castor and Pollux) on horseback on the reverse. 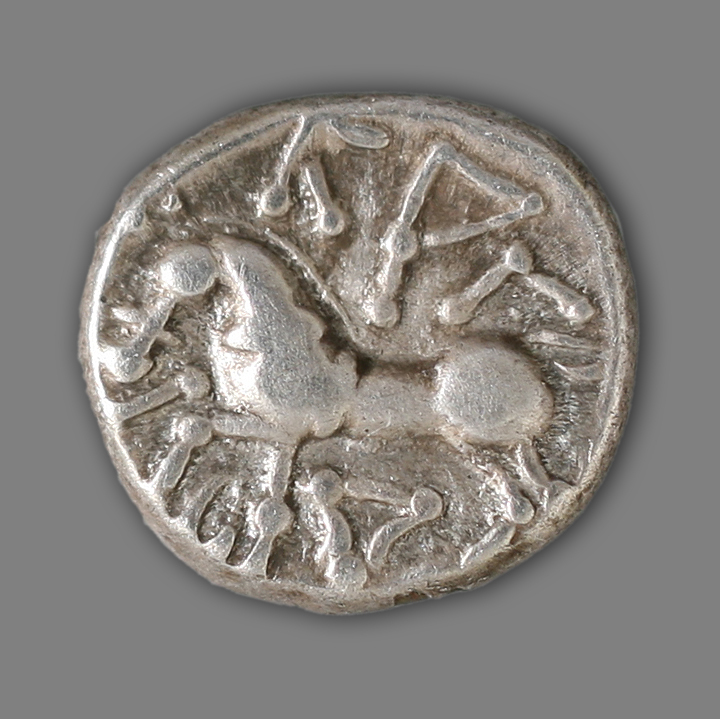 The Celtic version also has a helmeted victory on the obverse, but done in Celtic style and a single Celtic horse on the reverse. They also had a name on the reverse written in Greek: KAΛETEΔOY, or Kaletedou in the Latin alphabet. There are two different types of quinarii in the hoard, one earlier, one later, and both of them bear Kaletedou’s name. We don’t know who or what it represents, but archaeologists believe it’s a personal name, probably belonging to a Gallic chieftain. Canton archaeologists believe the coins were buried around 80-70 B.C. Although they were found scattered, they were probably initially buried together by someone looking to hide them in a secure location. There is no archaeological evidence of a settlement or structure anywhere near the find site. Celts did habitually bury treasure for safekeeping, sometimes near a sanctuary so a deity would be standing guard. 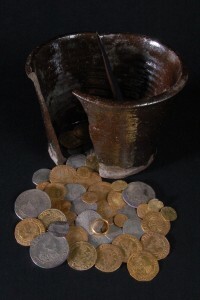 We don’t know what the purchasing power of bronze, silver and gold coins in the area was at that time, but evidence suggests that the money economy was more the province of urban centers than of the farming villages and semi-urban settlements that most of the local Celtic tribes (in the Füllinsdorf area that would have been the Rauraci, a client tribe of the Helvetii) lived in. Intra-regional and international trade with the Mediterranean peoples was well-established in the area by the first century B.C. After 80 B.C., trade declined, disrupted by local wars between tribal leaders, pressure from Germanic peoples and by the encroaching forces of Rome. The population began to leave sparsely settled areas for the safety of fortified towns. Under increasing strain, in 61 B.C. the Helvetii, in collaboration with other Celtic tribes in what is now Switzerland, planned a mass migration to the Atlantic coast of France. Julius Caesar stopped them. They were his first victory in the Gallic Wars. The Celtic treasure of Füllinsdorf is on display at the canton museum from March 31 to September 23. The coins were buried near what look like the remains of an old post, so Dr. Johnson believes the treasure might have been buried by a worried Royalist hiding his worldly goods from marauding Parliamentarians during the Civil War. 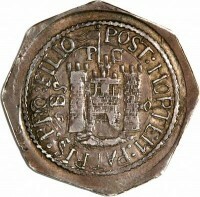 The coins have a total face value of £85 ($135), the equivalent today of about £7,000 ($11,000). (The UK National Archives website has an awesome historical currency and buying power converter.) Those coins would have bought far more during the mid-17th century than $11,000 could buy you today. Of course their historical value is much higher, and probably the plain precious metal weight is too. As expected, the coins and ring have been declared official treasure, at the coroner’s inquest at Wakefield Coroner’s Court on Tuesday. Since they are precious metals older than 300 years, according to the 1996 Treasure Act the artifacts are now property of the Crown. The next step is to assess their market value. Museums will then be given first bite at the apple, but they have to raise the money to secure the treasure. The money is usually split between the finder and the property owner, who in this case are the same person. Local government officials are hoping the coins and ring will stay in the area, perhaps on display at the Pontefract Museum. Lisa Dodd, Wakefield Council’s service director for sport and culture, added: “We believe these items have been in our district since the 1600s, making them a real part of this district’s rich history. It would be a great shame to not do all we can to try and keep the treasure in its rightful home for future generations to enjoy. 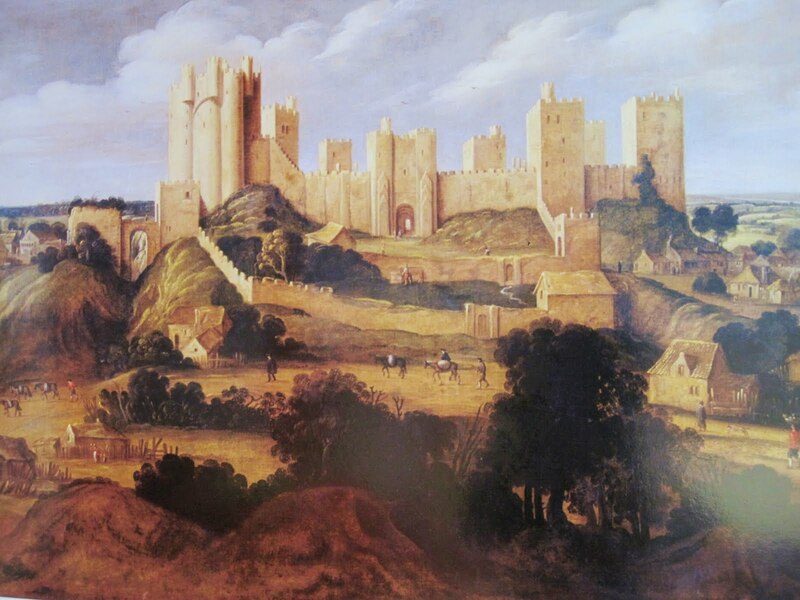 [Pontefract Castle] is very well-known as one of the strongest inland garrisons in the kingdom; well-watered; situated on rock in every part of it; and therefore difficult to mine. The walls are very thick and high, with strong towers; and if battered, very difficult of access, by reason of the depth and steepness of the graft. He knew whereof he spoke. Pontefract Castle would prove to be literally the last Royalist line of defense. Pontefract was still fighting for the Royalist cause for months after the war ended everywhere else. The third siege began in August of 1648. It was still going strong on January 30th, 1649, when King Charles I was beheaded. The Rump Parliament that had executed the king for treason declared the monarchy abolished on February 7th. 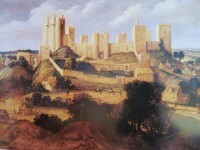 The Royalist garrison at Pontefract Castle simply proclaimed the regicided king’s son King Charles II and fought on in his name for almost two months. They even minted coins in the name of King Charles II, inscribed with the motto “Post mortem patris pro filio” meaning “After the death of the father, support the son.” The castle finally fell on March 24th, 1649, and was demolished by Parliament that summer. Only ruins remain now. After the Restoration of the monarchy in 1660, Pontefract made “Post mortem patris pro filio” its official motto which it remains to this day. 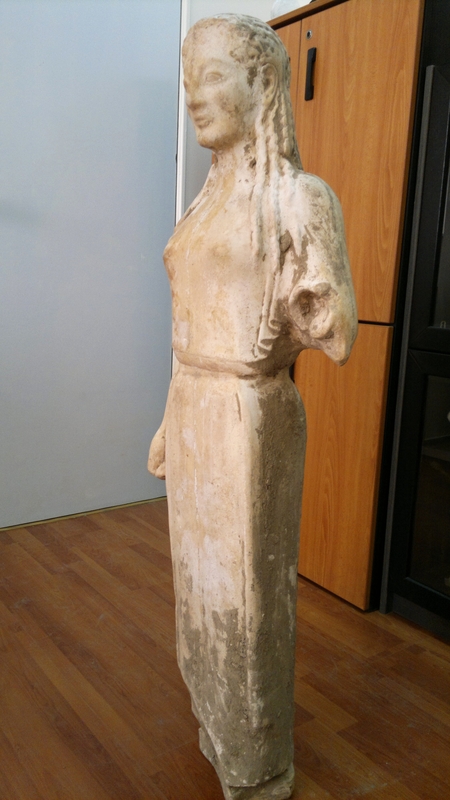 Greek police raided a home on the hills outside of Athens and discovered a nearly intact ancient marble kore hidden in the goat pen. The 40-year-old goat herder and a 56-year-old man thought to be his accomplice were arrested. The two were trying to sell the statue to a private buyer for €500,000 ($667,000), a large sum for them, but a small fraction of the maiden’s market value. Experts estimate she’d make something more along the lines of $12 million if she were sold in the open market. The kore (Greek for “maiden”; the male equivalent is “kouros”) is just under four feet tall (1.2 meters) and dates to the Late Archaic period of Greek sculpture, around 520 B.C. She’s missing her left forearm and the plinth under her feet, but otherwise she is complete. Her curled hair frames the serene countenance known as an archaic smile, and her clothes, a modest combination of chiton and peplos, are still caked with the dirt of her recent illegal excavation. Her missing forearm probably held an offering like a pomegranate. 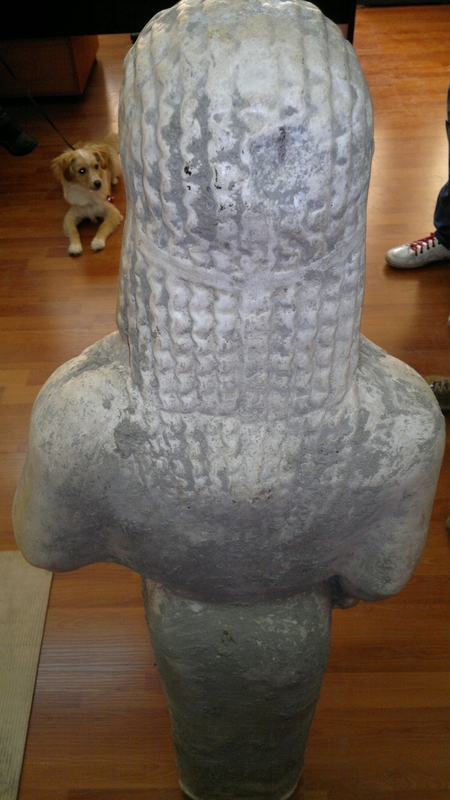 Korai were votive or memorial statues found at religious and funerary sites. Although they have been found all over Greece, it’s very rare that an intact one is discovered at this late date, and since this kore dates to a transitional period wherein the formalism of the Archaic gave way to the stunning realism of Classical Greek art, she holds an important place in art history. In fact, she looks very much like the Peplos Kore, a marble statue from ca. 530 B.C. that was discovered on the Acropolis in 1884 and is now in the Archaic Gallery of the new Acropolis Museum. 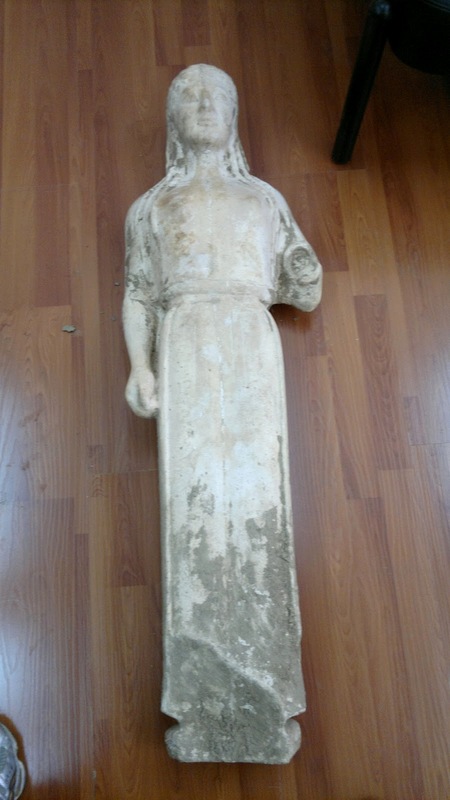 The Peplos Kore has traces of her original paint visible. It was the discovery in the 1880s of the Peplos Kore and other sculptures discarded during renovations to the Acropolis complex after the Persians sacked Athens in 480 B.C. that first made people realize that the stark whiteness of neo-classicism was a-historical, that in truth the ancient Greeks painted their statues in a wide array of incredibly garish (to our eyes) colors. The Peplos Kore has been an invaluable source of information about Greek sculpture painting. Archaeologists hope the looters will reveal where they dug up this kore. There could be an undiscovered sanctuary or temple on the site, or at least some identifiable remnants of archaeological context for the looted statue. A recent study published in the Journal of Archaeology in the Low Countries reports that five small telescopes have been discovered in Amsterdam, all of them dating to the 18th century and all of them made from bovine metatarsals, the long cylindrical bones above a cow’s hoof. Although the Dutch Office for Monuments & Archaeology records over 2000 historical artifacts excavated over the past 35 years that were made out of hard animal tissue like bone, antler, ivory and tortoise shell, they’re all things like combs and buttons. Other telescopes from the 18th century have been discovered, but they’re made out of wood and metal. These five are the only bone telescopes known in Dutch archaeology. Details of the findings hadn’t been published until now, and, in the case of two of them, were unidentified until several years ago when Rijkelijkhuizen, then a master’s degree student, started work on her thesis. She was looking at organic artifacts found in Amsterdam when she came across bone artifacts that would later turn out to be telescopes. “At first I didn’t recognize them either,” Rijkelijkhuizen said. Her analysis of the five telescopes is now published in the most recent edition of the Journal of Archaeology in the Low Countries. Two of the five telescopes were discovered in cesspits, one of them dating between 1725 and 1775, the other between 1725 and 1750. We don’t have the archaeological context for the three remaining telescopes, but their style identifies them as also dating to the 18th century. Four of the five are no more than 3.5 inches long and an inch in diameter. The longest one was made in two parts that were fitted together with screw threads. The total length when both parts are attached is 5.5 inches, and the diameter at the thickest point is just a hair over an inch. These are notably tiny dimensions for a telescope. They were bounded by the raw materials. Cow metatarsals provided an ideal round shape, thick compact bone tissue and a marrow cavity to look through, but the usable part doesn’t get much longer than 3.5 inches. The marrow cavity gets oval in shape towards the ends of the bone, so those parts had to be removed. Once they had a round bone with its round cavity lathed into shape, the craftsmen carved out a platform on each end for lenses to rest on. 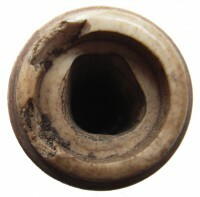 They then made screw threads on the outside of the ends so that lens caps could be fitted over them with metal rings. Both lenses are extant from the two-piece telescope and one of the lenses from the smaller telescopes also survived. We know therefore that these were refracting telescopes which would have had a very low magnification rate of about three. The craftsmanship required to make them — both the bone carving and the lens grinding — suggests that these were luxury items. They wouldn’t have been strong enough to be turned towards the heavens, so probably the telescopes were used as opera glasses or to watch the seas during a ship voyage. On April 2nd, 2013, a crew of poorly-paid professionals and volunteers will begin construction near Messkirch, southwestern Germany, of a medieval monastery town using only materials and techniques from the 9th century. That means masons carving stone blocks by hand while blacksmiths forge and sharpen their tools, and it also means no raincoats, authentic period foods cooked as they were 1200 years ago to sustain workers and visitors alike, and teams of oxen carting materials to the work site instead of trucks. The project is the brainchild of 62-year-old building contractor Bert Geurten, and it’s a dream he’s nurtured since he was 15 years old. 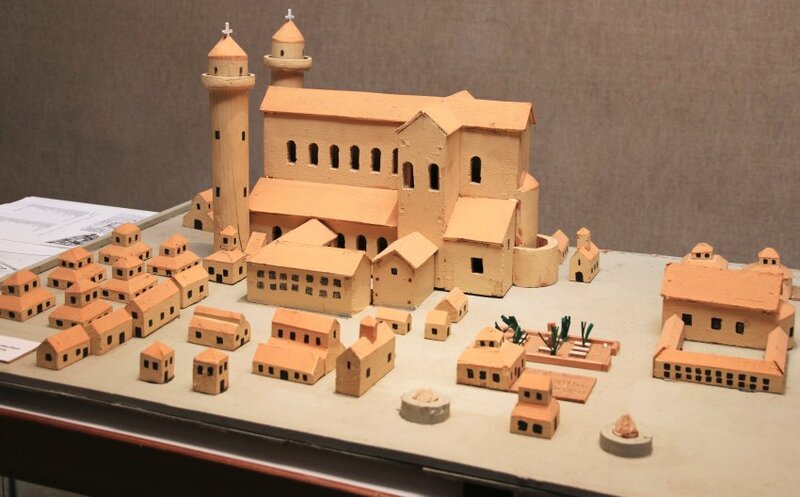 In 1965, he saw a scale model of the Plan of Saint Gall, a detailed 9th century architectural drawing of a monastic compound, at the Age of Charlemagne exhibition in Bert (and Charlemagne’s) hometown of Aachen, Germany. It was the first scale model of the Plan ever made — but far from the last; it started a trend — and it ignited young Bert’s imagination so thoroughly that 45 years later he’s making it come to life. 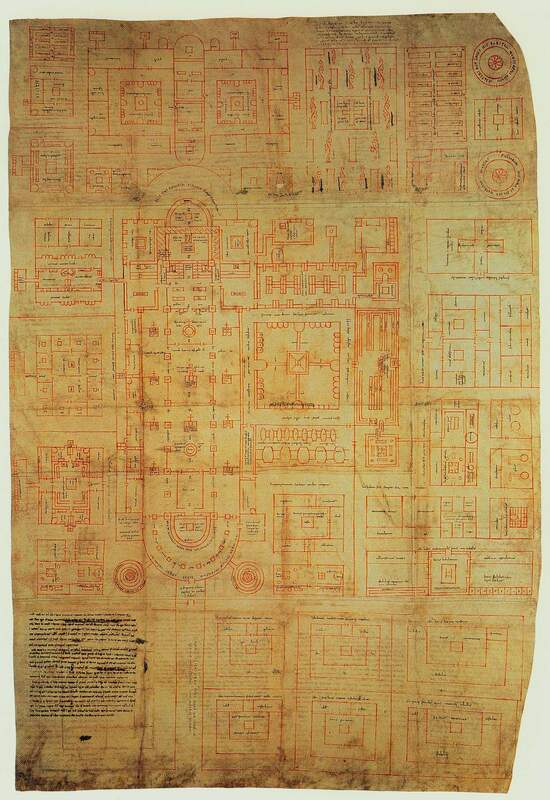 The Plan of St. Gall (so named because the designer, Abbot Haito of Reichenau, dedicated it to Gozbert, Abbot of the Abbey of St. Gall in Switzerland from 816 to 836) is a scale map of a complete Benedictine monastic compound. 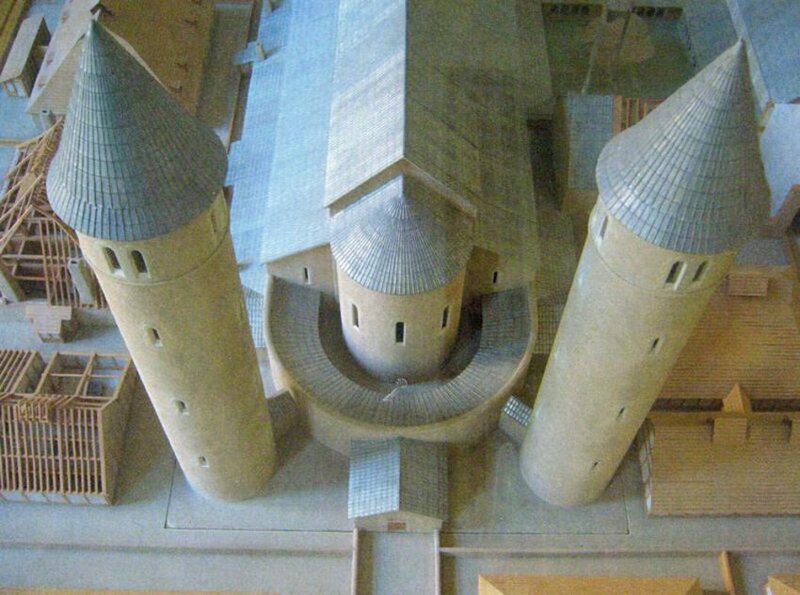 There’s the monastery itself, of course, but also churches, houses, stables, kitchens, an infirmary, workshops, every component necessary for a successful monastic society and its lay satellites. 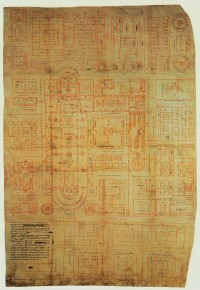 It is the only surviving architectural drawing between the fall of Rome and the 13th century. The Carolingian monastery project has some initial funding from local and EU sources, but the $1.3 million they have in the bank is expected to last just a few years. Since the estimated end-date of the project is 2050, fund-raising is going to be a constant issue. Bert Geurten hopes it will be at least partially sustained by visitors coming to see the construction. Meanwhile, he’s pinching pennies and people are so excited about the idea that he has an embarrassment of applications to go through. Overall, the construction site will have 20 to 30 permanent staff in addition to volunteers. There has already been a lot of interest. “From Lufthansa pilots to a teacher, all kinds of people have applied.” One candidate even sent his application written in medieval German on a real roll of parchment. Meanwhile, schools will likely be allowed to join in with the site’s work for as long as a week. “We are developing a plan that will enable the children to prepare for their experience in the classroom first,” says Geurten. I hope they hire that guy who wrote his application in medieval German. The interest from volunteers bodes well that there will be ongoing interest from paying visitors for the 40 years it’ll take to build this sucker. That has certainly been the case for Guédelon, a castle being built today in Burgundy according to the architectural principles of the ideal military fortress laid down by King Philip Augustus of France in the late 12th, early 13th centuries, using solely the techniques and materials available to workers in the 13th century. Construction has been going along merrily since 1997 and each year, hundreds of thousands of people go to Guédelon. Many of them are repeat customers who want to compare the progress of construction from year to year. It doesn’t always go that well, though. Ozark Medieval Fortress, a castle modeled on the Guédelon project that has far more modest ambitions than the huge monastery project, unfortunately ran into financial difficulties. Work stopped in November and earlier this month the board voted to list the property and its castle stump for sale for $500,000. 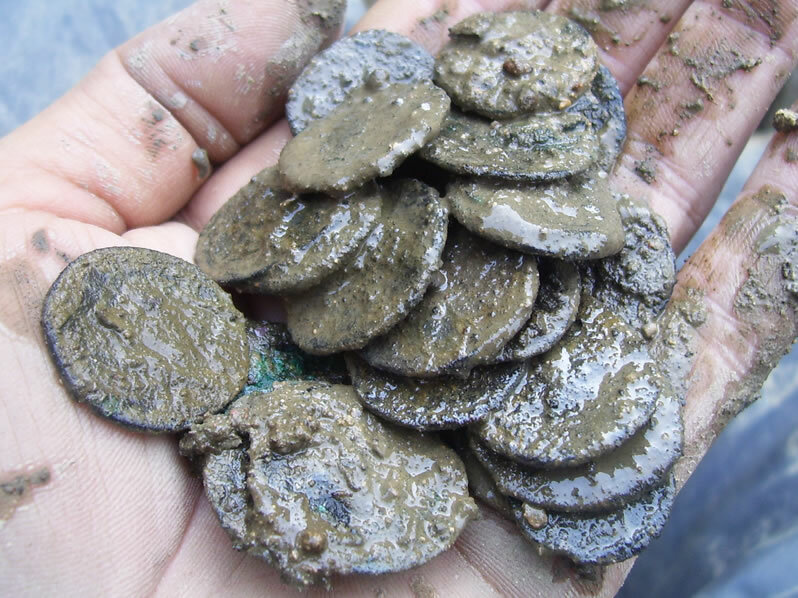 In a shocking departure from the usual way these announcements go, an actual professional archaeologist doing an actual professional excavation on a construction site in Bath, England has discovered a hoard of tens of thousands of Roman coins. 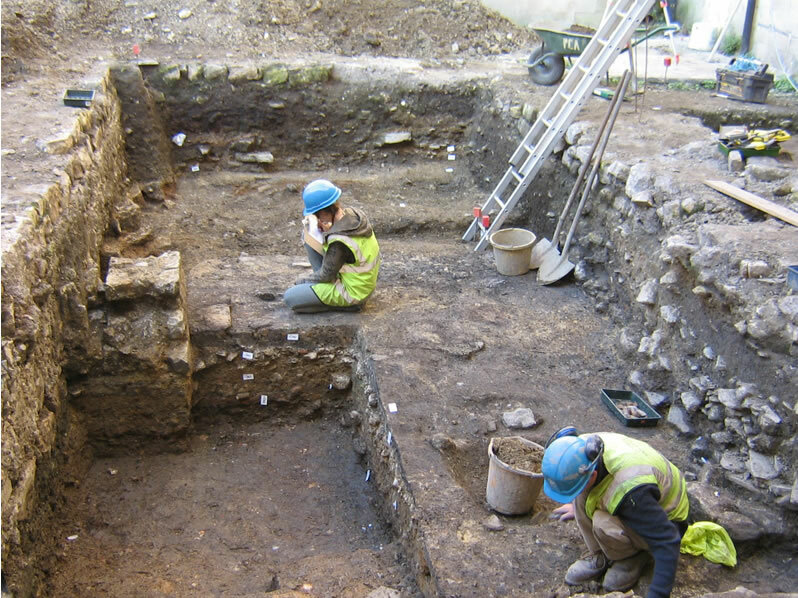 Hazel O’Neill of Cotswold Archaeology found a block of silver coins fused together while digging on Beau Street in Bath, the future location of the main pool for the Gainsborough Hotel and Thermal Spa, in 2008. Metal detectors were not involved at any point. The coins were discovered in a small pit under what was once the floor of a Roman building about 450 feet from the famous Roman Bath after which the town was named. Archaeologists think the coins were kept in a wooden box or cloth bag which has now rotted away leaving only the stuck together coins behind. During excavation 150 coins were dislodged. Based on the size and number of those coins, the earliest estimates of the total number were fairly low at 1,000 pieces, but the fused block was deceptive. Estimates now put the total number of coins at around 30,000. If that figure is correct, this will be the fifth largest hoard of Roman coins ever discovered in Britain and the largest hoard ever discovered in a Roman town in Britain. The entire block was cut out of the soil and sent to a Cotswold Archaeology laboratory for storage and preliminary research. They have now forwarded the coins, most of them still fused together, to the British Museum where their experts will separate and conserve the coins. The project is expected to take at least a year. 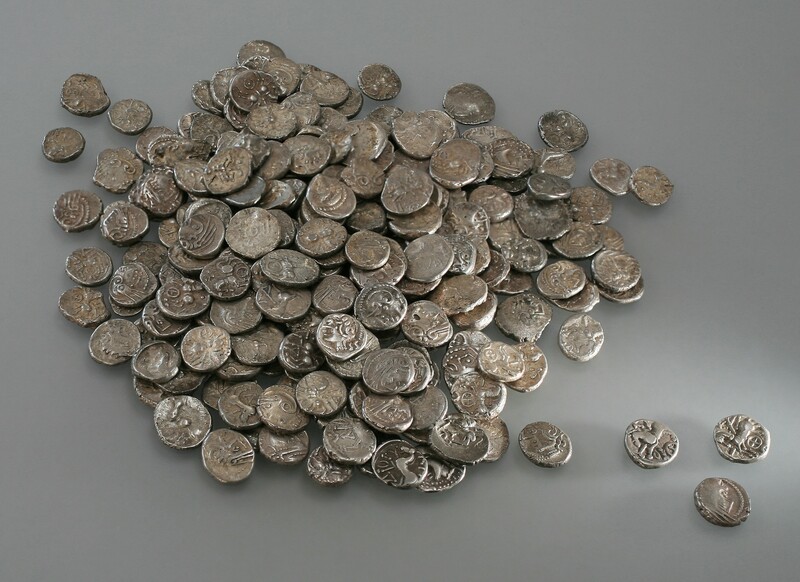 From what archaeologists have been able to tell thus far, the coins date to the early and middle 3rd century A.D., the same dates as the coins in the Frome Hoard. 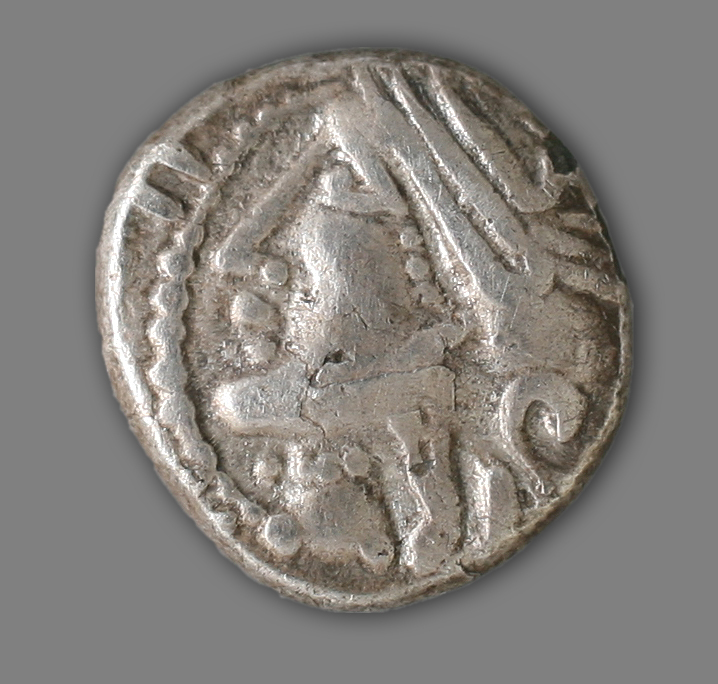 Despite these recent bonanzas, the period between 240 and 260 A.D. is generally underrepresented in coin hoards especially considering what a politically volatile time it was. Two of the loose coins have been identified as Antoninianii, a debased silver coin worth two denarii issued by 3rd century emperors starting with Caracalla until Diocletian began his program of coinage reform in 301 A.D. The find has been declared a treasure trove by the coroner as required by law. It has not been formally valued yet, but that’s the next step. Meanwhile The Roman Baths is wasting no time in launching a fund-raising project to secure the £150,000 they think they’ll need to purchase the hoard for conservation and display in Bath. They don’t appear to have an easy online donation system set up yet, but you can call in your credit card number or mail them a check if you’d like to help. Between March 4th, 1665 and July 31st, 1667, England fought the Dutch Republic over control of trade routes and their colonies in Africa and North America. The monarchy had been restored in 1660 and Charles II, egged on by various advisers who hoped to profit handsomely from war, became eager to carve off a piece of that Dutch naval dominance for his new kingdom. Unfortunately England was ill-prepared to confront the Dutch navy. The crown was still suffering financially from debts accrued by doomed King Charles I during the civil war, and Charles II was no frugal monarch himself. Throw in the Great Plague and Great Fire that decimated London, center of English commerce and government, in 1665 and 1666, and there was little money left to build new ships or repair old ones. Meanwhile, the Dutch Republic was prosperous and had new ships ready to fight plus more being built. By February of 1667 money was so tight that England gave up trying to refurbish their heavy ships and sent them all to the Royal Dockyard at Chatham on the Medway River. Charles tried to buy time to get repairs done by entering peace talks with the Dutch in March at Breda, but he had secretly made a deal with the French that he would support their conquest of the Spanish Netherlands. Dutch politician Johan de Witt knew what Charles was up to. He decided it would be best to hit the English fleet with one decisive blow that would break the English fleet and will to fight. 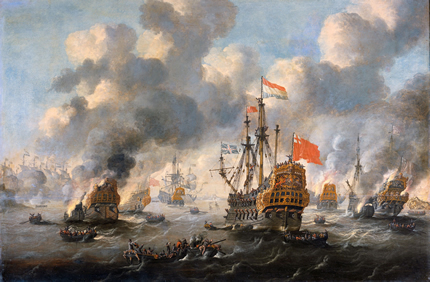 Admiral Michiel de Ruyter led the Dutch fleet stealthily to the mouth of the Thames. There they captured the Sheerness fort and broke through the chain blocking the entrance to the Medway river. Then they sailed a few yards to Chatham and destroyed the immobile Royal Navy laid up there. The raid was a shocking, staggering success. Fifteen English ships were destroyed, three of eight big ships were burned, but most symbolically agonizing of all, the English flagship, HMS Royal Charles, was abandoned by its crew and captured by the Dutch without a single shot fired. They just took it, towing the entire ship with its royal crest-emblazoned stern back home with them, the ultimate war prize. The Royal Charles was built in 1655, under Oliver Cromwell. The largest ship in the Royal Navy, the 80-gun, three-deck ship of the line was originally named the Naseby after the battle wherein Cromwell decisively defeated the royalist army of Charles I in 1645. With the Restoration of the monarchy in 1660, its Oliver Cromwell figurehead was removed and on May 23, 1660, it was sent to pick up King Charles II who was waiting, ironically, in The Hague. When it arrived at Scheveningen harbor, the Naseby’s name was changed to HMS Royal Charles and then set to carry said royal Charles to England and his throne. The capture of this ship, therefore, was a devastating blow to King Charles II. The fact that an enemy fleet had sailed the Thames and the Medway and reduced the Royal Navy to rubble caused enormous consternation in London and England as a whole. The English had been fond of their unblemished invasion record since 1066; this was just a little too close for comfort. Just as de Witt had planned, the daring raid put a stop to all the backroom shenanigans and to the Second Anglo-Dutch War. For six years the Royal Charles was kept on public display at the naval port in Hellevoetsluis. It was never enlisted into the Dutch fleet because it was considered too crappy for them and for the rough Dutch waters. When keeping it floating became more trouble than it was worth, the ship was broken up for scrap in 1673. 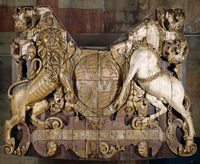 They kept the stern carvings, though, cutting the crest of Charles II off the ship and keeping it on display at the Rijksmuseum. There it has remained for 345 years, until last week. Now it is back in England temporarily, on loan to the National Maritime Museum which is celebrating the Queen’s Diamond Jubilee and the museum’s 75th anniversary with an exhibit about the role of the Thames in English history: Royal River: Power, Pageantry and the Thames. The exhibit includes dozens of artifacts on loan from the Royal Collection and from other private collections all over Europe that have never before been put on public display. 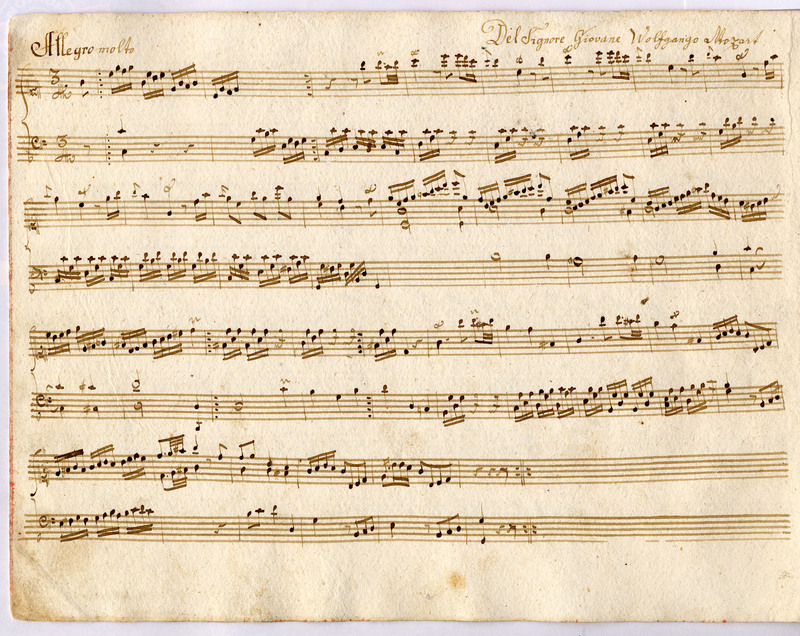 Musicologist Dr. Hildegard Herrmann-Schneider found a previously unknown sonata by Wolfgang Amadeus Mozart in the attic of a brass band leader’s home in the Lech Valley of the Austrian Tyrol. The brass band leader had an extensive music collection, so after his death Dr. Herrmann-Schneider of Innsbruck’s Institute for Tyrolean Music Research was hired to inventory and evaluate the collection for the estate. She identified a number of music manuscripts and printed sheet music ranging in date from the late 18th century to the mid-20th century. One of the artifacts that caught her eye was a hand-written notebook of music for piano labeled “Johannes Reiserer, Sterzing 1780” on the back of the cover. There are over 160 pages of music within, copied works by composers from the area or just adjacent to it (northern Italy, Austria, Bavaria) who wrote them around the time of the 1780 cover date. Each work is labeled with the name of the composer and their professions, and they’re all accurate. The accurate authorship attribution of the father’s work lends some credibility to the attribution of the son’s, and the peculiar “Wolfgango” phrasing also suggests a link to Leopold Mozart. Leopold personally called his son “Wolfgango” when writing the author note on the manuscripts of two of Wolfgang’s minuets and on the title page of the 1764 London Sketchbook, as do writers closely associated with Leopold from the 1760s. Dr. Herrmann-Schneider researched Johannes Reiserer, the name on the cover, and found a Johannes Reiserer born in 1765 in Tyrol. The son of a doctor, young Johannes went to high school in Salzburg where he sang on the city cathedral choir from 1778 to 1780. He stayed in the Kapellhaus — a dormitory for boys who sang in the Salzburg Cathedral’s choir — which had famous composers and musicians on staff. One of them was Leopold Mozart. Researchers have thus concluded that Johannes Reiserer used the notebook to copy compositions as part of a rigorous program of music instruction by Kapellhaus music masters, perhaps Leopold himself. The attribution of the sonata to the Young Wolfgango, therefore, seems on fairly solid ground. Here is a snippet of the piece as played by Florian Birsak on Mozart’s piano at the home the family moved to when he was 17. The BBC article has video of Mr. Birsak’s playing. 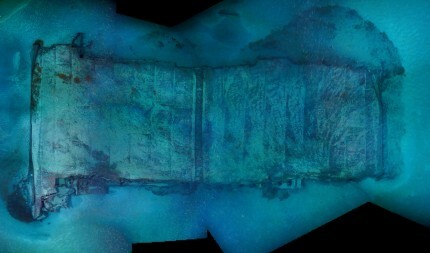 The April issue of National Geographic is marking the centennial month of the sinking of the Titanic with exceptional new pictures of the wreck composed from thousands of side-scan, sonar and high definition images taken by the 2010 expedition. The composite pictures are beautiful and eerie and detailed almost beyond belief. Earlier high definition pictures and video from the site were narrowly focused, bounded by the limits of visibility 2 miles below the surface of the North Atlantic and by the camera lens. The composites put all those little keyhole shots together. Pictures and captions courtesy of National Geographic. COPYRIGHT© 2012 RMS TITANIC, INC; Produced by AIVL, WHOI. As the starboard profile shows, the Titanic buckled as it plowed nose-first into the seabed, leaving the forward hull buried deep in mud—obscuring, possibly forever, the mortal wounds inflicted by the iceberg. COPYRIGHT© 2012 RMS TITANIC, INC; Produced by AIVL, WHOI. 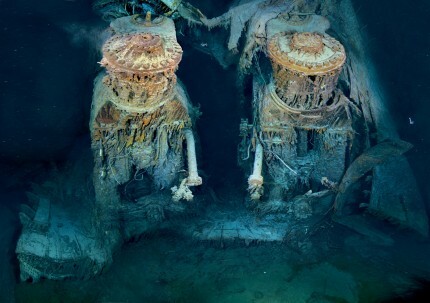 Two of Titanic’s engines lie exposed in a gaping cross section of the stern. Draped in “rusticles”—orange stalactites created by iron-eating bacteria—these massive structures, four stories tall, once powered the largest moving man-made object on Earth. COPYRIGHT© 2012 RMS TITANIC, INC; Produced by AIVL, WHOI. Two sections of Titanic’s double-bottom hull ripped off the stern as it sank. Their hydrodynamic shape may account for their landing well to the east of the rest of the debris. How a collapsed pile of decking landed nearby remains a mystery. The April issue of National Geographic also has a supersweet poster (aren’t all NG posters supersweet?) of Titanic’s demise, reconstructed based on the new data recovered from the ocean floor. The National Geographic website has an excellent companion layout with a featured article that in addition to covering the recent expedition also covers RMS Titanic, Inc.’s change in approach over the years from a salvage operation dedicated to collecting artifacts for display and sale to a curatorial emphasis on documenting and conserving the wreck. There’s also a neat gallery comparing images of the wreck to pictures from Titanic’s twin RMS Olympic, an interactive wreck map with information on salient features, and zoomable images of the wreck. Don’t miss the zoomable pic of the stern in profile. It looks like it was torn apart and partially eaten by Krakens.